This exceptionally high quality wooden kitchen play set is the ideal kids nursery toy, great for role play. 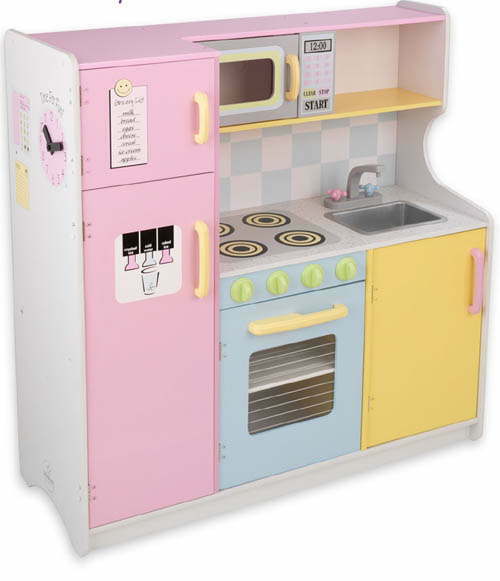 Made from high quality wood, fantastic pastel coloured kitchen with built in play fridge-freezer, microwave, oven, sink and hob. Plus taps and dials to turn. There is plenty of storage space for all your play kitchen kit. Flat packed and requires adulty assembly, approximate time: 1 hour.